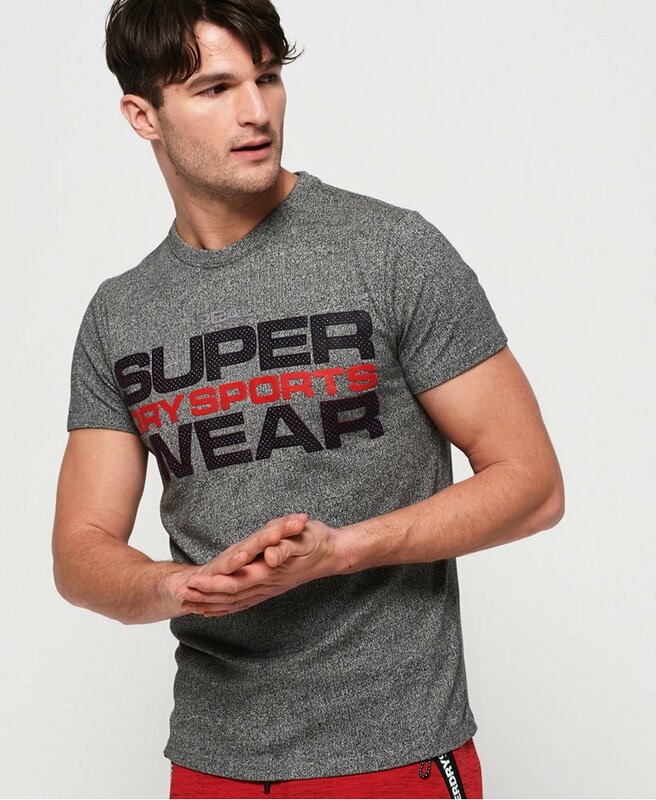 Superdry men's Highgloss sport t-shirt. This t-shirts four way stretch allows for dynamic movement. Featuring a large textured Superdry graphic across the front, this t-shirt will be an eye-catching addition to your wardrobe this season.